It’s the first day of winter break and already you are at a loss for what to do with the kids. 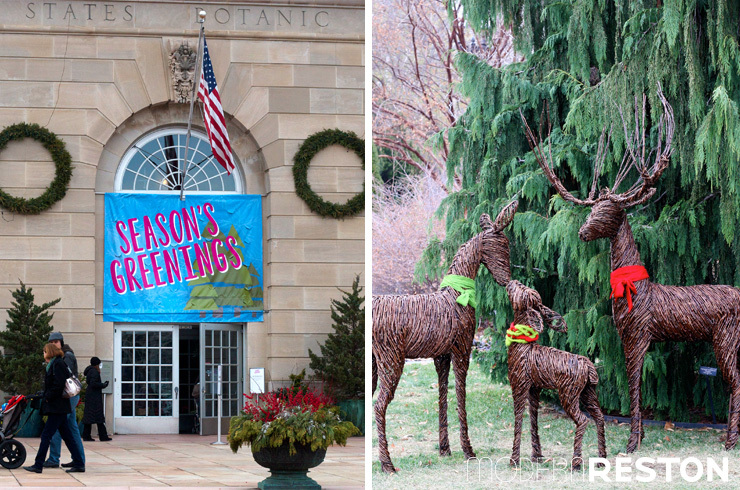 Well you’re in luck, we spent the weekend exploring two of the DC Area’s best botanic garden holiday displays — The U.S. Botanic Garden in DC and Meadowlark Botanical Gardens in Vienna, VA. Both were fabulous, but they couldn’t be more different. Literally, they were day and night. 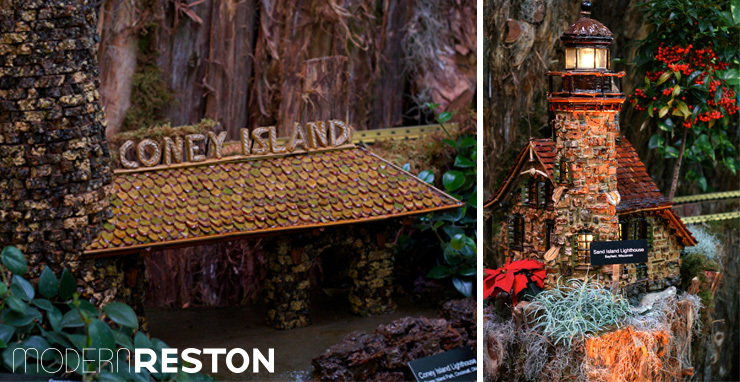 First up, the U.S. Botanic Garden’s “Season’s Greenings.” This year, the theme for their holiday display is “Exploration Along the Seas.” You’ll see lighthouses, landmarks and pirate ships all constructed from real plant materials. The extraordinary attention to detail is a sight to behold. Be sure to arrive early, as the line tends to wrap around the building this time of year. It did move at a good clip, however, and were inside within about 20 minutes but the kids were getting restless. Once inside, you’ll see that the wait was definitely worth it. 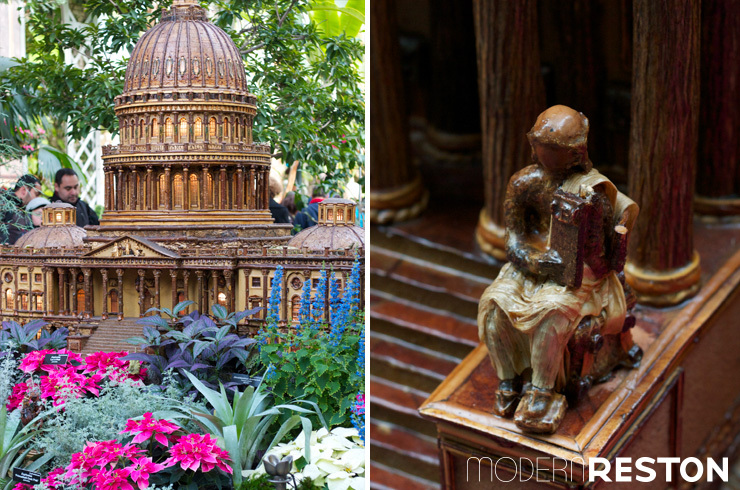 As you enter the Botanic Garden, you’ll see the Capitol and many other DC buildings that are made entirely of plant materials such as sea grape leaves, corn husks and seeds. 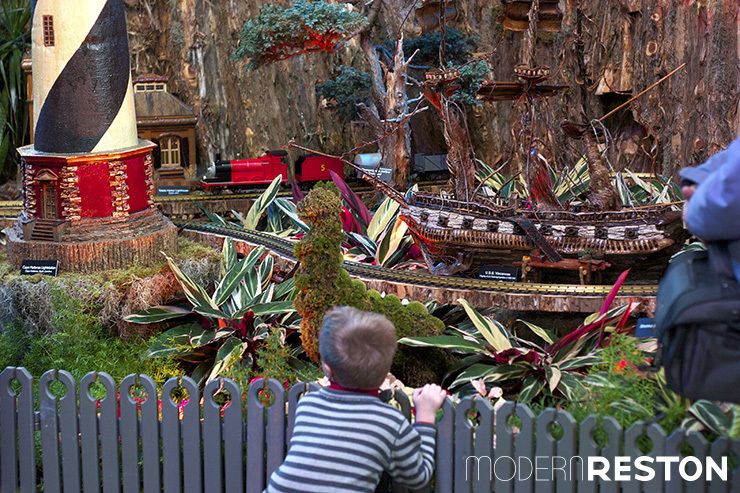 In addition to Thomas & Friends trains, the “trainscape” has a nautical theme this year and showcases over 30 lighthouses, impressive ships and hidden treasures. Kids can run around and look for sea creatures, mermaids and waterfalls. 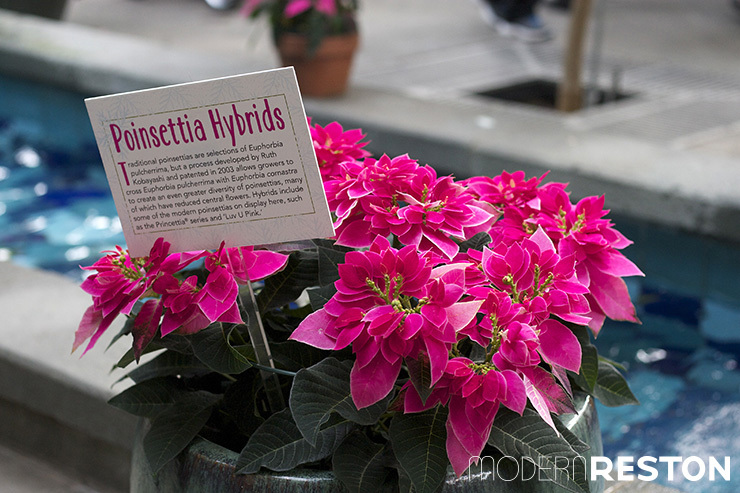 These unusually vibrant Poinsettias were scattered throughout the exhibit. 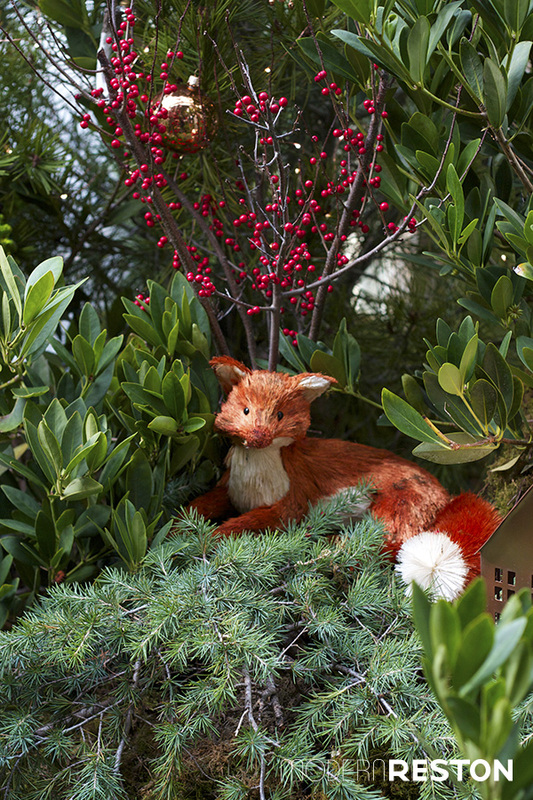 As you make your way through the building, you’ll find various winter scenes and cute little animals in every nook and cranny. 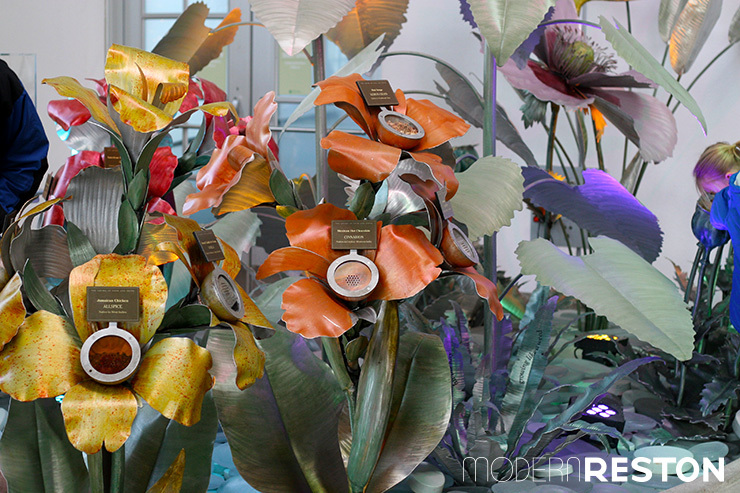 One of my favorite displays was the indoor spice garden that is part of the “Plants in Culture” exhibit in the West Gallery. The concept for “Plants in Culture” is the crucial role plants play in human development, specifically their part in therapy, ornamentation, food and ceremony. 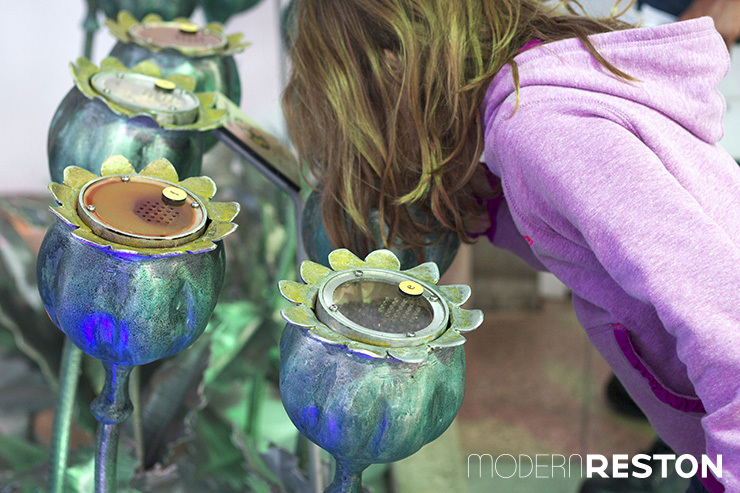 Other-worldly and interactive metal sculptures jut out of the ground, each housing a variety of spices that can be sniffed. In addition to the child-friendly exhibits, don’t skip the scavenger hunt that encourages kids to move through the building and keeps their interest piqued. 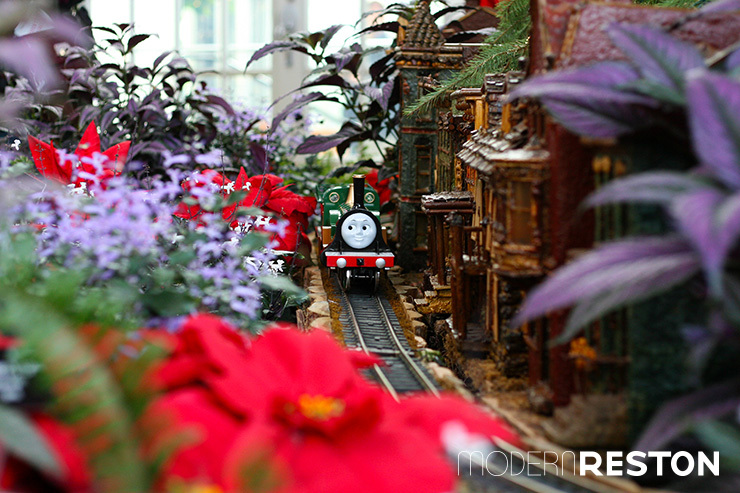 The Conservatory will be open until 8 pm on Tuesdays and Thursdays in December for the holiday season. During these evenings there will be musical performances from 6 – 8 pm. The second stop on our botanic garden tour was Meadowlark Botanical Gardens in Vienna, VA. Meadowlark is a rambling 95 acres of ornamental display gardens, native plant collections and walking trails. 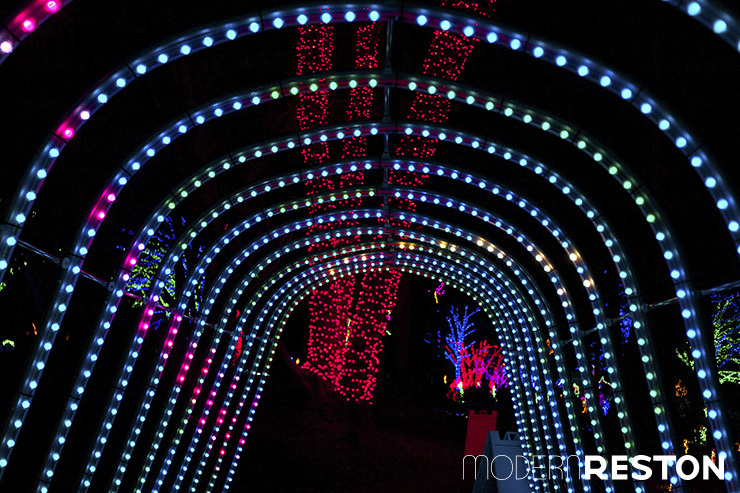 Each year they create an outdoor winter wonderland of over 500,000 LED lights for their Winter Walk of Lights. 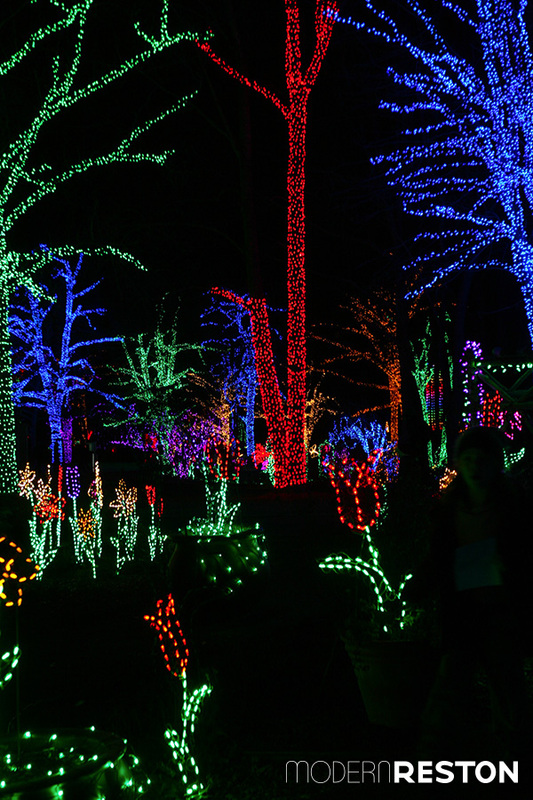 As any well meaning parent, I have intended to take my family to this light spectacular every year for 4 years. Somehow this is the first year we have actually made it. We were blown away by the installation! DO NOT MISS THIS. This is a ticketed event, so you’ll want to purchase in advance on their website. We bought the morning of the day we decided to go and one person in our party couldn’t get the same entrance time because it sold out within minutes. I recommend purchasing a day or two ahead. 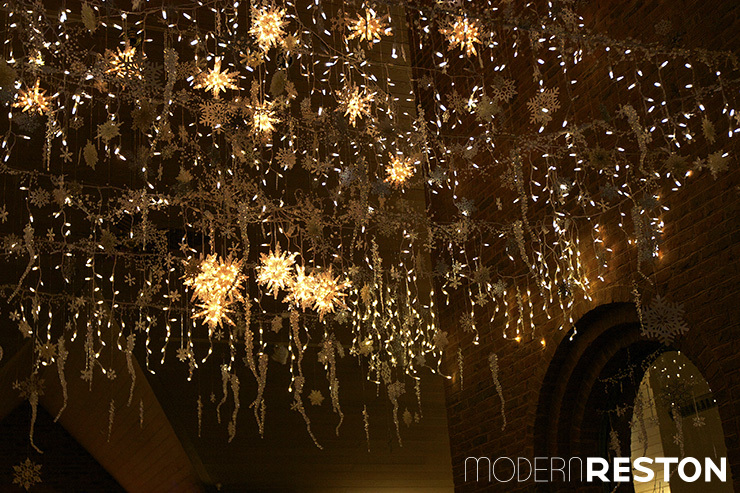 In the Atrium you are greeted with dazzling lights hanging from the ceiling — a small taste of what’s to come. The path is .6 of a mile long and it’s cold! Wear comfortable shoes and dress warmly (gloves, hats, the whole nine yards). In the main building you can buy hot chocolate, coffee and toys that glow or light up for your walk. 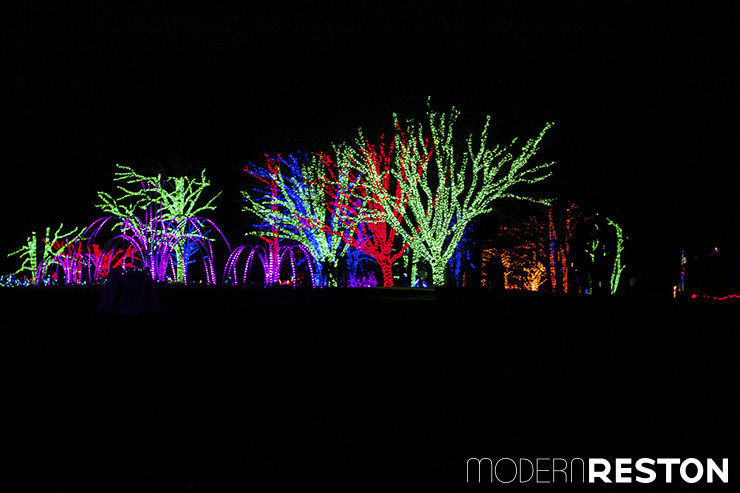 The picture above is your first glimpse of the magnitude of the light display. There was lots of ooh-ing and ahhh-ing! Like the U.S Botanic Garden, children are given a scavenger list to search for certain items. They can then retrieve a prize once they complete the list. Many of the vignettes are animated, such as flying hummingbirds, jumping fish and leaping frogs. 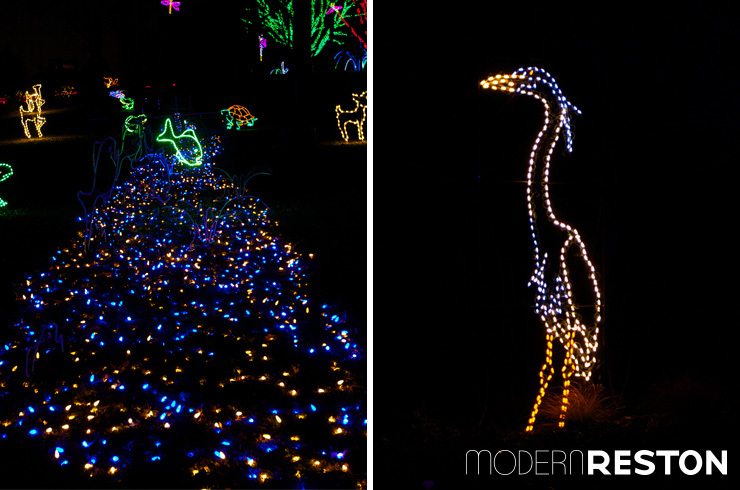 The clearly marked pavement path through the Walk of Lights makes this an incredibly stroller-friendly activity. The kids especially loved walking under the tunnel of flashing lights. At the end of this tour, I felt like the best parent in the whole world. The kids were incredibly delighted and hardly realized they were on a .6 mile hike. The roasted marshmallows at the end didn’t hurt either!